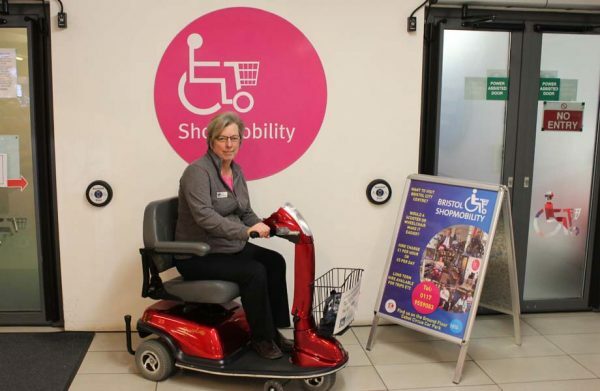 Bristol Shopmobility is a charity that hires out mobility equipment to a wide range of users who need help with accessibility. Run by Diana and a team of volunteers, you will find it on the ground floor of the Cabot Circus car park. Visitors to Bristol Shopping Quarter can hire manual and powered electric wheelchairs by the hour or day. There are mobility scooters too, suitable for anyone up to 39 stones in weight, and foldable scooters that fit easily into a car boot. 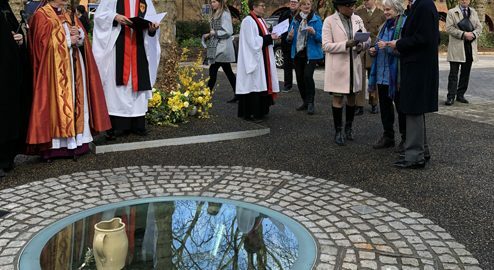 The service is available from Monday to Saturday between 10am and 4.30pm. You pay an hourly charge of £1.50, up to a maximum of £5 for wheelchairs and £7 for scooters per day. Long term hire is also available, just ask for details. Shopmobility customers can have up to five hours free car parking in Cabot Circus when hiring mobility equipment. Delivery of Shopmobility equipment to their hotels can be arranged for visitors to Bristol. For further information, call 0117 955 9083 or visit the Shopmobility website bristolshopmobility.co.uk or Facebook page facebook.com/BristolShopmobility. Shoppers will find many cash machines in Bristol Shopping Quarter and most are free to use. In Broadmead they are located at Marks and Spencer, Sainsbury’s, Eurochange, and most major banks and building societies. There are more on Union Street (The Post Office), in The Galleries and in Cabot Circus. Talking ATMs, which allow partially sighted and blind customers to access the same services as everyone else, are available at Santander in Merchant Street. There are toilets for shoppers in Cabot Circus and The Galleries. If you need information about Bristol Shopping Quarter or the local area visit the information desk in Cabot Circus. It is located on the upper ground floor. Friendly, knowledgeable staff can give you directions, help you locate lost property and provide other assistance as required.